Ben Madigan writing in his blog tries to get to the motivation of people that carry out suicide attacks. 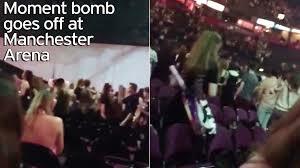 In the aftermath of the Manchester Arena bombing it’s hard to understand what drives someone to the point that they believe their only option is suicide while killing and maiming innocent people. Let us at least make the attempt. Push factors that influence radicalization and mobilization pathways and help shape an “extremist mindset” include socio-economic background, psychological characteristics, physical venues, key concepts from Islam and Muslim history and attitudes towards Western ways and policies. Even though there is no single cause or pathway into radicalisation and violent extremism, Salman Abedi, the Manchester bomber, shares several features with other homegrown European Islamic terrorists. Most were aged in their 20s. Young adults are more prone to risk taking and late adolescence/young adulthood is associated, to some degree, with political alienation and with approval of disruptive forms of political behaviour. Younger adults may display greater openness to extreme political attitudes—and perhaps to extremist behaviour. had an immigrant background which can lead to a sense of geographic dislocation, cultural gaps between generations and complex identity issues resulting in a sense of alienation. They feel they neither belong to England or the parents’ original society. According to one friend of Abedi’s family most of the Libyan youth in Manchester felt “disbanded” and did not know where they belonged. They don’t belong to either society. They are neither Libyan nor British. They are not accepted anywhere. And Libyan society considers them half-breeds. They are not accepted, which leads to so much frustration and discontent. What do we know about Salman Abedi? His father, Ramadan, arrived in the UK in 1993, as a refugee from Ghedaffi’s Libya . 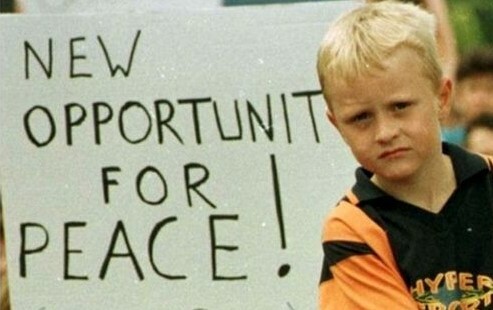 Salman was born in Manchester in 1994 and raised there. NB: 1) the majority of European jihadis come from first and second generation Muslims who were born in Europe. 2) Greater Manchester is one of the 4 UK regions that have produced most of the UK’s jihadis over time . It has a large Muslim population. How did Salman fit into English society? At school (Burnage Academy for Boys 2009 -2011), he smoked marijuana and drank vodka, He loved football but was aggressive and had “anger issues”. He mixed with gangs in south Manchester. May 2016 Along with other young men of Libyan descent in Manchester, he was enraged by the gang killing of a friend who died after being run down by a car and then stabbed. Abedi viewed the attack as a hate crime and grew increasingly angry about what he considered ill-treatment of Muslims in Britain. NB A young man is more likely to radicalise if he views his life through a prism of discrimination/ deprivation and sees particular events as requiring a direct and personal response. Mr Ramadan Abedi said he feared his son was becoming increasingly drawn into drugs and criminality after the death of his friend. 2) One of the personal triggers that pushes an individual to violent action is belief that there is a need to join insurgent groups to avenge for the death of their associates. 3) Another is that it is their religious duty to embark on warfare to defeat the enemies of their religion. What did Salman do next? He started Salford University in 2014 where he studied business management for 2 years before dropping out. He did not live in university accommodation, had not been in any trouble at the university and was not on any radar for pastoral or social care. He did not participate in any clubs or societies and never met with the resident imam. NB: Current and previous UK government warns universities that lonely Muslim students are potentially at risk of radicalisation. 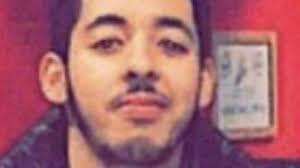 Salman Abedi had been a “regular kid”, who went out and drank until around a year ago when he “dropped off the radar”, becoming more and more devout and withdrawn. NB self-isolation is another red flag as radicals have a loose or no connection with Muslim communities. Could emotional and/or experiential factors have influenced Salman’s decision to support olitical violence? If he was searching for purpose and belonging, membership might well have been seen as a route to action, adventure, power and the sense of brotherhood. Abedi’s younger sister, Jomana, said she thought he was driven by what he saw as injustices. I think he saw children—Muslim children—dying everywhere, and wanted revenge. He saw the explosives America drops on children in Syria, and he wanted revenge. 2) experiences of discrimination and social segregation are causes of radicalisation amongst the educated middle-class. Perceived discrimination toward Muslims living in the West is significantly associated with justifying suicide bombing. 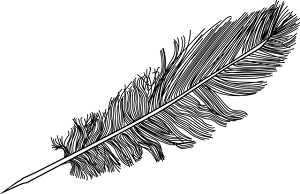 A direct and immediate confrontation with the insulting perpetrator may or may not occur at the time of the bad experience, but the target of explicit discrimination may feel an especially stinging personal humiliation, more salient inter-group antagonism, and perhaps generalization of intergroup conflict behaviors—which may then extend to individual or collective support for anti-Western extremist behaviours. What about his home background? Family connections in Manchester included Gaddafi dissidents who had been members of the Libyan Islamic Fighting Group, which was linked to Al Qaeda. Could the Internet have played a role? Choosing to access jihadist websites may be, at least to some extent, an activity of persons already inclined toward anti-Western sentiment, such that viewing this media may more often confirm preconceptions or exacerbate tendencies than change minds. What about a desire to be (in)famous? Getting on world news and TV transforms an ordinary bloke into a name. It is an express train to fame, unpredictably turning nobodies into somebodies. Salman Abedi may have wanted to be somebody. Did no one notice the red flags? Salman Abedi was flagged to authorities five times over his extremist views, raising questions as to why he was never stopped by officers. Home Secretary Amber Rudd disclosed that Abedi was known to British intelligence prior to the attack, but did not make clear why no action was taken. We do not know what exactly triggers jihadism in any individual. Sadly and unfortunately many of these suicide bombers I'd contest haven't fully developed their capacity for conscious independent rational thinking. For most males this doesn't happen until well into the third decade (generally mid-twenties for men with females often 5 years or more earlier). This youthful vulnerability is readily exploited by others who perhaps themselves haven't developed significant rational capacity. Complete capacity is often delayed or permanently thwarted in those who have been exposed to trauma. This lineage of trauma can be and often is inter-generational. All these factors alas blind and leave some unfortunates susceptible to indoctrination ... indoctrination and exploitation by those who are, unbeknown to themselves, already damaged ideologues. The ideologues irrational and hateful dogma is almost irresistible to a cohort of the youth. The psychology that underpins this is an old and a repeating pattern across cultures that varies only in degree. In the week before the bombing he was seen praying and chanting loudly in the street while wearing a brown robe and not one neighbour thought 'Hang on a sec, this one might be teensy bit off his rocker'? But yet after it was "Oh yeah AND he had strange deliveries going to his gaff". 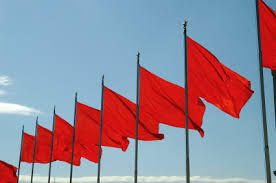 Call me cynical but that Red Flag would have been screeeeeeaming up my particular flagpole if I'd seen those shenanigans! If he was the only 'Muslim in the village' he would be more noticeable with his behaviour. Birmingham has countless burka daleks hovering up and down the streets. Parts of Manchester myst be the same. Anger, isolation exclusion and adventure all probably play a part. Tinged with a desire for notariety. 72 virgins are now trying to put him back together like a jgsaw. if some reports are accurate it seems that even the bomber's mother, a science graduate, had informed the police/authorities about her concerns that her son had been radicalised. Lots more questions to be addressed? as some on here may well know, involvement in such tight-knit groupings/organisations over-delivers on normal needs for meaning and purpose not to mention the needs for a sense of autonomy, agency, status and recognition or for power and control. The inevitable intense camaraderie between members of such passionately focused groups often, if not always, surpasses the ordinary mundane needs all humans have for attention exchange. Throw into that mix imagined vestal virgins and the transcendental veneration of martyrdom and we have a powerful heady cocktail. All very seductive and addictive for most people and exponentially more so for the vulnerable and impressionable. Absolutely. 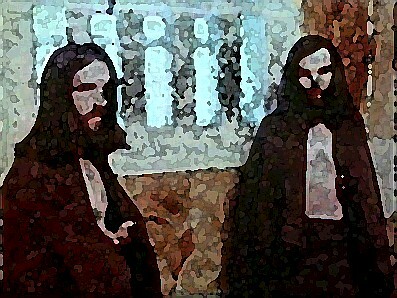 Also closer to home there were some who were perhaps addicted to the absolute 'power' over others. Some still to this day regardless of decommissioning, calling for informers and all the climb downs and ditching of political principles. Personality defoect or down right delusion I would nearly call it. But certainly the chance to do ones bit and 'impress' was a big pull factor for impressionable bored youth. A stint in jail usually knocked the romance out of them. Something like 2% only went back from 80s onward. Though Seanna Walsh seemes to have developed quite a taste for it. Or maybe some people felt safer in jail. I think it is important the UK authorities do not mishandle the situation like they did here. Being that the Muslims are centred in English cities I think there may be a more thoughtful approach this time. Never mind the red flag; anyone notice a false flag? Dublin/Monaghan, McGurks bar are two of a long list carried out at the behest of British intelligence. What's the odds Manchester is of the same ilk? Immediate Mi5 investigation into themselves.... burrying any loose ends.